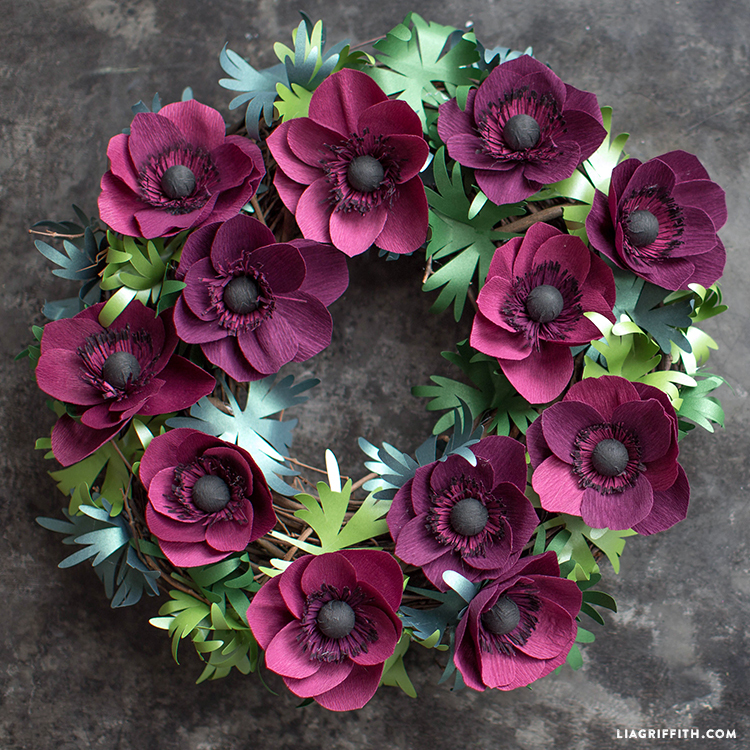 In our latest Craft School video, Lia teaches you how to create this gorgeous anemone wreath for fall. 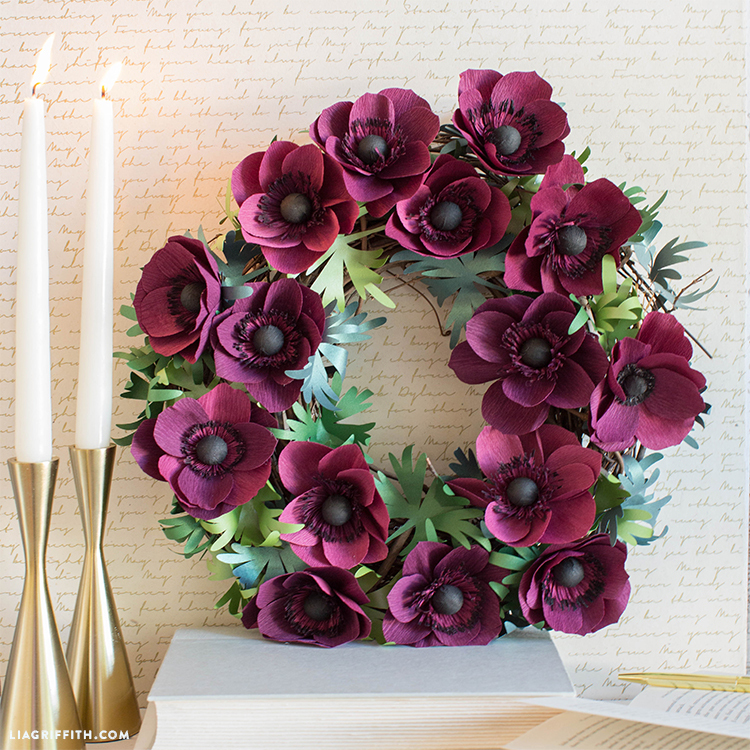 This wreath is a bit trickier than some of our others, so if you’re new to paper flower making, perhaps try some of our simpler paper flower projects first. If you’re ready for a challenge, gather the tools and materials listed below, and follow along with the video to make this advanced crepe paper project. We love this rich plum color palette, but feel free to get creative! 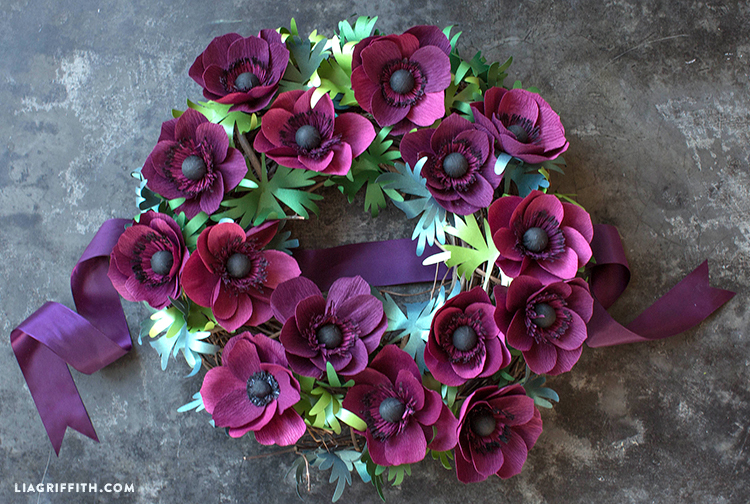 And if you don’t want to make a whole wreath, feel free to craft these anemones all on their own. Where can I get navy double sided crepe paper? Hi Lia, I am so thrilled to have found you. 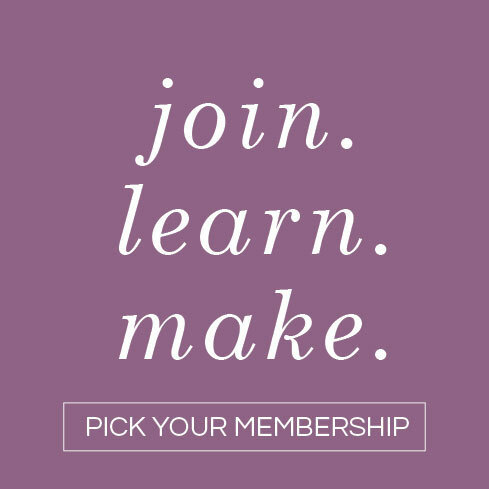 I just joined your membership. Can you tell me if there are written instructions on how to put the flowers together once you download. 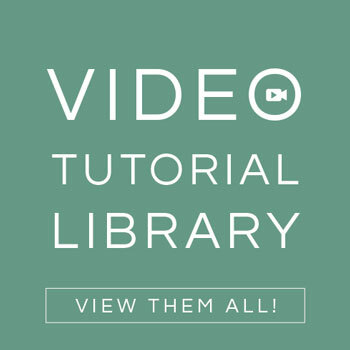 My hands don’t work quite as fast as I would like them to, and I need to be able to read my instructions instead of just watching the videos. Thank you so much, your flowers are beautiful. 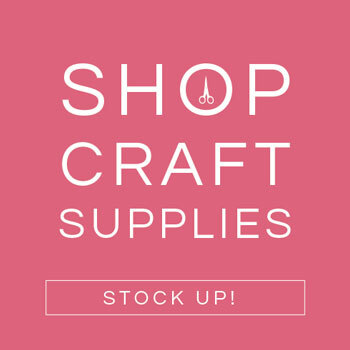 I received a cricut for Christmas and I have a daughter getting married in about 16 months and of course she wants your paper flowers.. Any help would be greatly appreciated. Thank you in advance. Welcome Denise, we’re so happy to have you!! 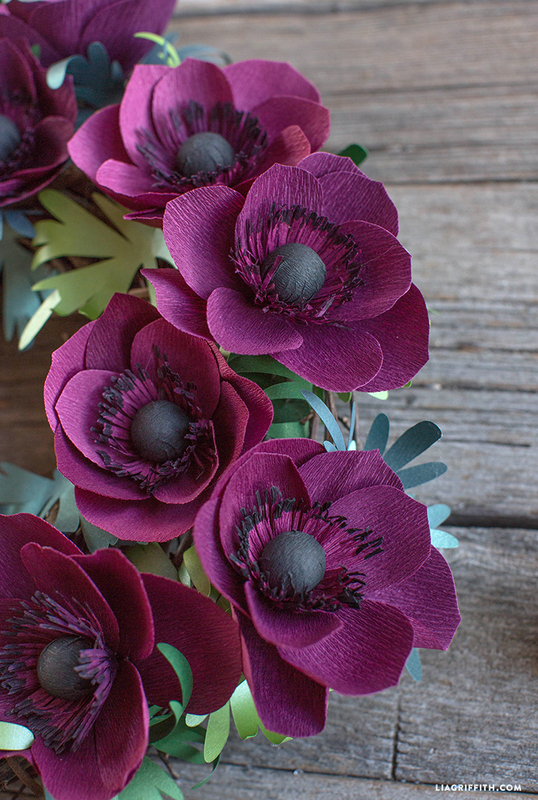 This post has the instructions you can download: https://liagriffith.com/advanced-crepe-paper-anemone/. Can this flower be done with the regular fine crepe paper? Or does it need to be the double sided for quality? Hi! Double-sided or heavy crepe will hold the shape nicely, but you can certainly give it a try with the extra fine! How did you stick the leaves on the wreathe? Did you attach small lengths of wire to them or just glued them on? I actually did a little bit of both– some leaves were glued straight to the wreath form, while others I added to floral wire. The leaves on wire are able to sit a bit higher and give some dimension to the wreath in between flowers.